TOLEDO, Ohio – In the middle of a muggy summer night, Keith Jordan got an urgent text: Toledo’s tap water wasn’t safe to drink. “I thought it was a joke," said Jordan, who works with at-risk youth in Toledo’s inner city. He went back to sleep. When he got up a few hours later, he took a shower and had a cup of coffee, then turned on the news. That was Aug. 2, 2014. For the next three days, half a million people in and around this industrial city at the western edge of Lake Erie scrambled to find safe water. Many drove hours across state borders to stand in long lines at stores that hadn’t sold out of bottled water. Some stores were charging $40 for a case of water that usually costs less than $5. Jordan, unaffected by his shower and coffee, helped set up distribution centers for free water, and helped deliver it to seniors and mothers with babies. The National Guard sent tanker trucks full of drinking water to the city. 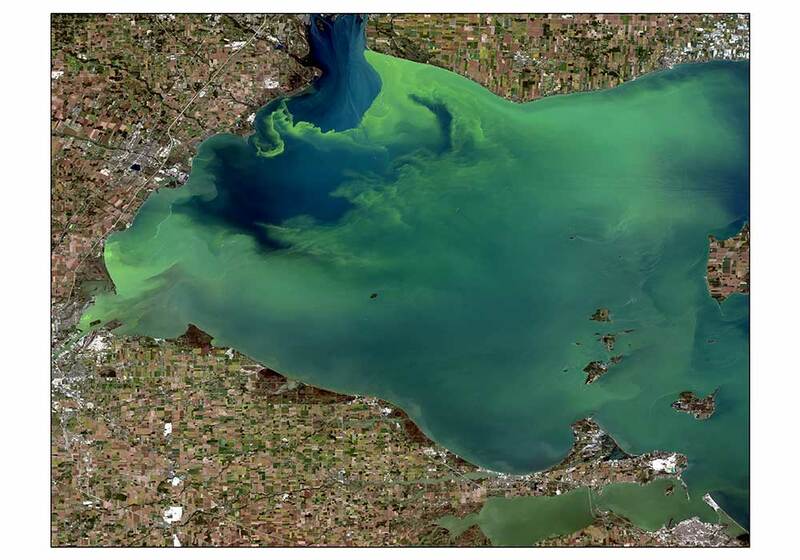 The panic was set off by a toxin called microcystin, the byproduct of an enormous bloom of blue-green algae that had invaded Lake Erie. 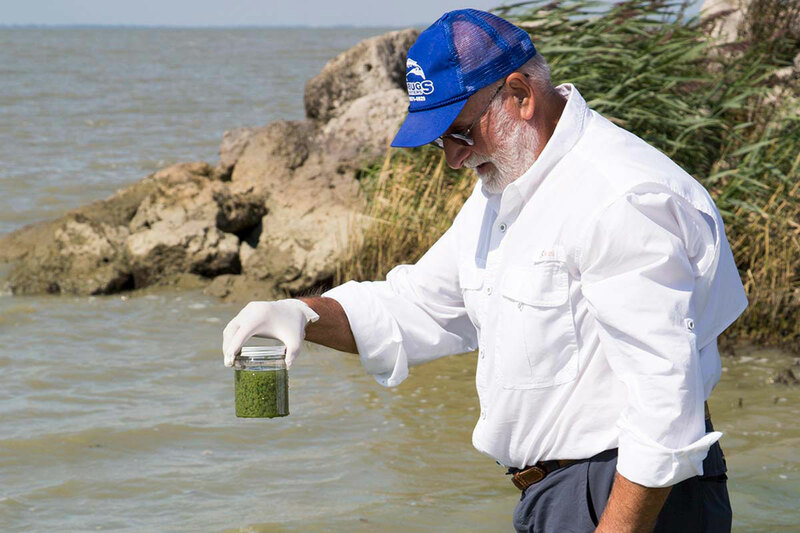 The bloom – technically not algae, but photosynthetic single-celled organisms called cyanobacteria – blanketed vast expanses of the lake with what looked like thick, sickly green split-pea soup. It was triggered by chemical pollution from farm fertilizers and industrial sources into the lake, which supplies the region’s tap water. 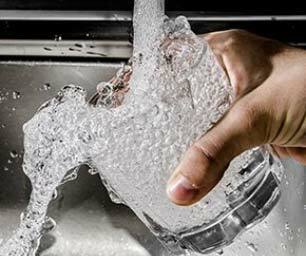 Toledo was the first large U.S. city where toxic blooms made tap water unsafe for human consumption. But it may not be the last. No government agency collects nationwide data on toxic blooms. 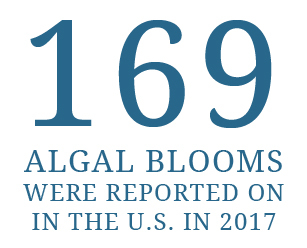 But EWG’s research found news reports of almost 300 blooms in lakes, rivers and bays in 48 states and the Gulf of Mexico since 2010. Based on those reports, the problem appears to have worsened over the past few years. In 2010, there were just three reports of toxic blooms in the U.S. In 2015, there were 15, including the largest to date in Lake Erie, although the bacteria did not get into Toledo’s drinking water. 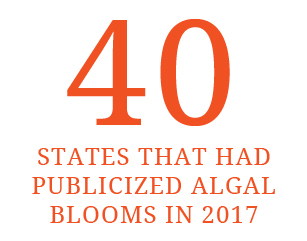 In 2016, there were 51, including a huge bloom in Florida that prompted the state to declare an emergency in four counties on the Atlantic Coast. Last year, 169 blooms were reported. And in March, Ohio Gov. 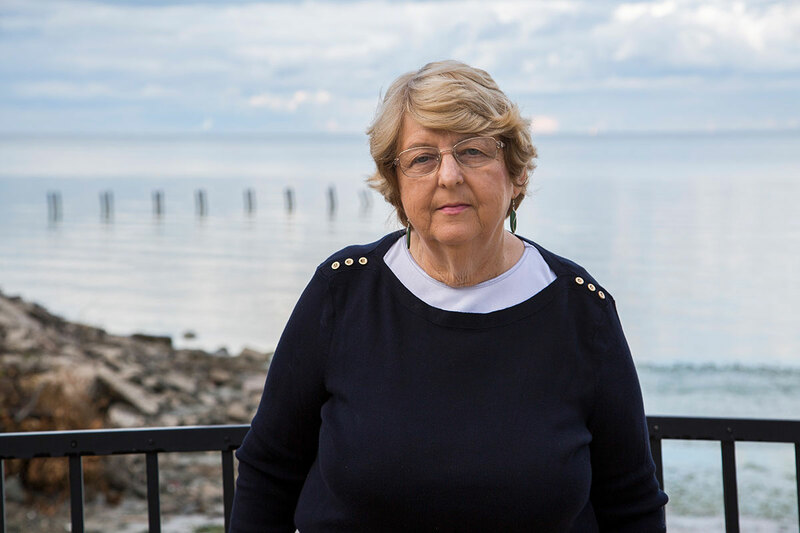 John Kasich declared the open waters of western Lake Erie “impaired for recreation” – an unprecedented designation that under the federal Clean Water Act will require the development and enforcement of plans to reduce toxic blooms. EWG’s interactive nationwide map shows locations of reported toxic blooms in green. 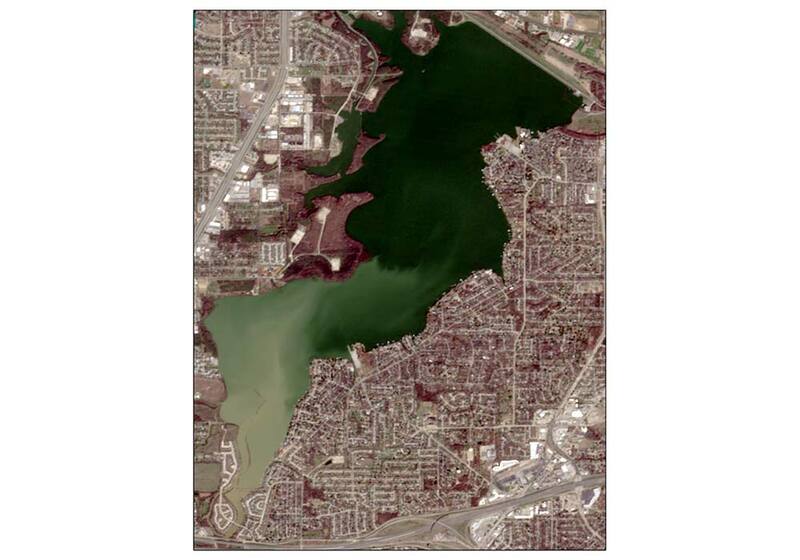 Orange locations have links to vivid satellite photos of blighted lakes from California to Florida. 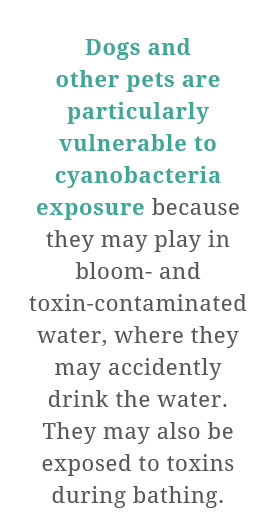 Cyanotoxin blooms are a worldwide problem, according to Sandy Bihn, executive director of Lake Erie Waterkeeper. 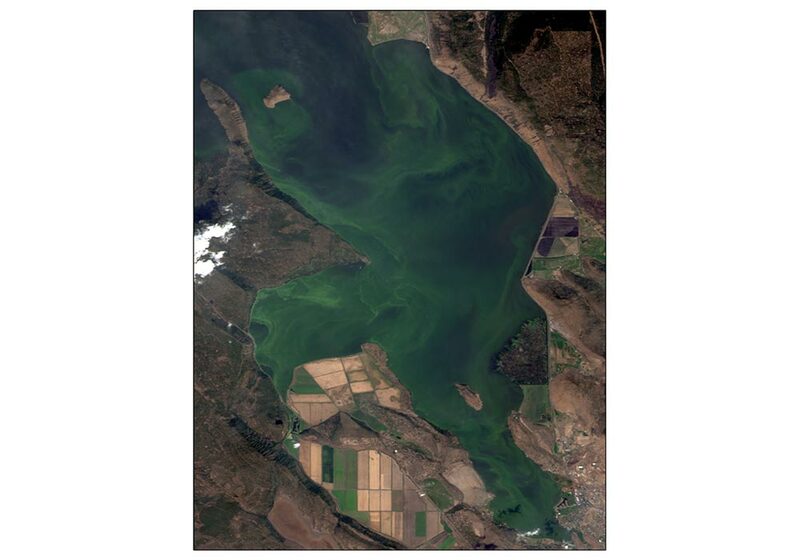 In south-central Oregon, algal blooms are a regular occurrence each year, usually blooming in late spring. 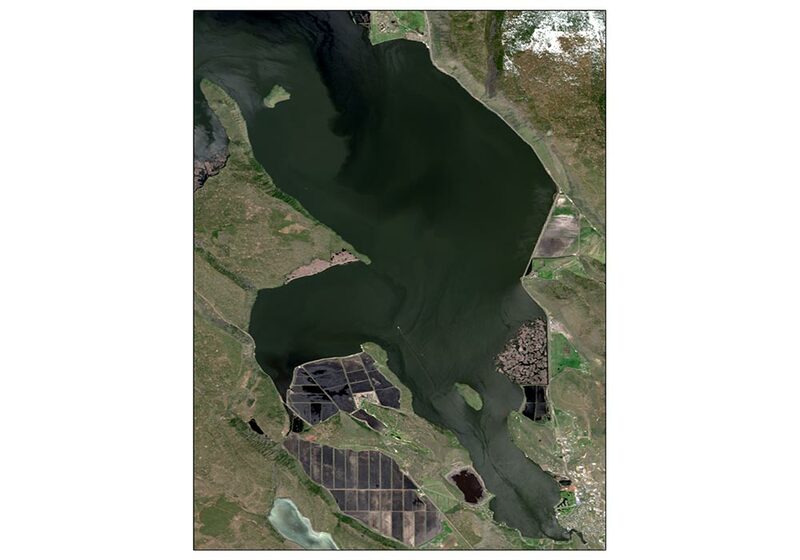 A study by the federal Bureau of Reclamation found that the most significant changes to the Klamath basin in the 20th century came from agricultural practices. 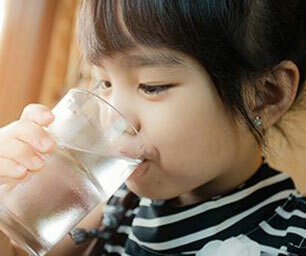 Complaints of odd-tasting and foul-smelling tap water came pouring into the local water utility in early 2017. 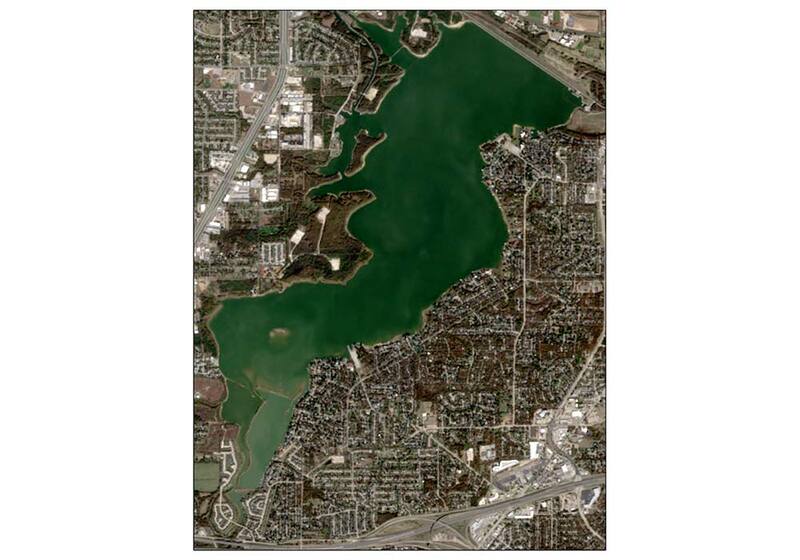 The stench and strange taste came from an algal bloom developing in one of the city’s water treatment reservoirs. The utility said the cause may have been an unseasonably warm winter in West Texas, which led to the development of the geosmin algae byproduct. 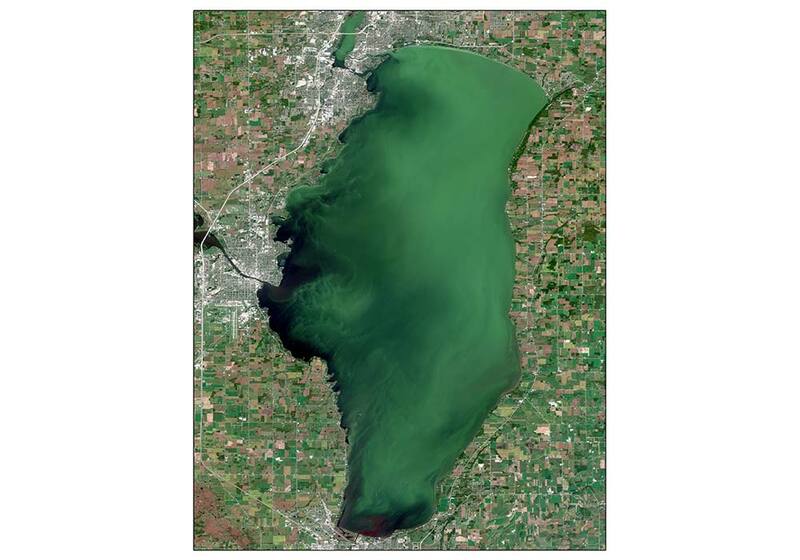 Right around July 4, 2016, the Winnebago Country Health Department sounded the alarm for residents to avoid the state’s largest lake due to the development of a massive blue-green algal bloom. This is not an uncommon occurrence in the lake, with other blooms developing throughout the summers of 2016 and 2017. In June 2017, state officials warned locals to avoid swimming and eating fish in this man-made reservoir. 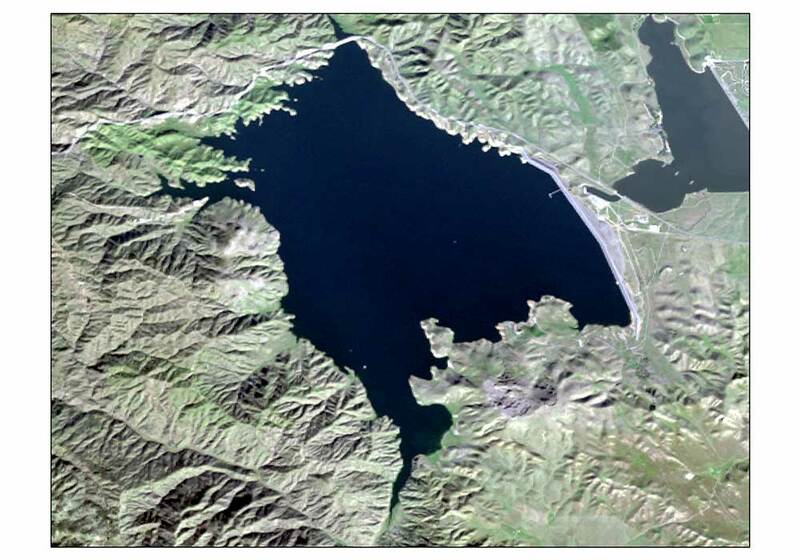 The Sacramento Bee reported the blooms are an annual occurrence for the reservoir, which acts as source water for many Silicon Valley communities, but this particular bloom came much earlier than anticipated and was compounded by an ongoing statewide drought. In what is a yearly occurrence, Lake Erie’s 2017 bloom developed in early September. 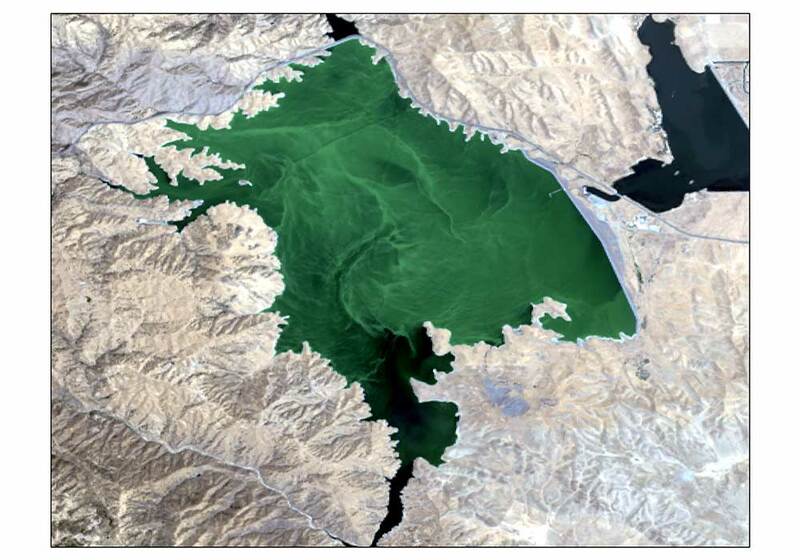 A New York Times investigation found that in October, the bloom covered more than 700 miles of the lake’s western basin. Farming operations along the Maumee River are the main culprits. Changes in rain patterns are bringing more nutrients downstream and helping create the blooms, but simple farming conservation techniques could reduce them. Algal blooms don’t always produce toxic microcystins. 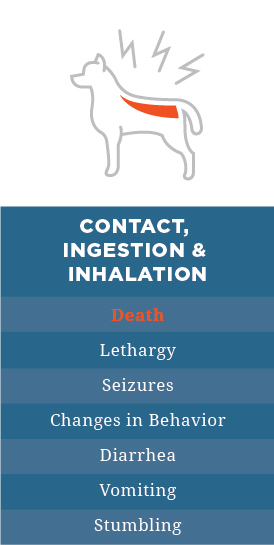 When they do they’re not just a gross and smelly nuisance, but can pose serious health hazards to people, pets and wildlife. 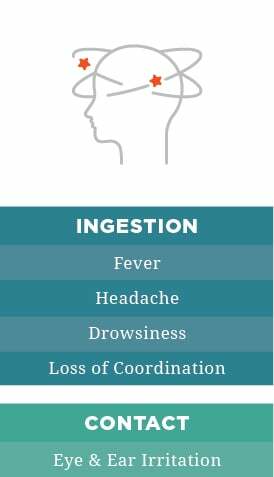 According to the Ohio Environmental Protection Agency (PDF), some microcystins are more dangerous than any other water contaminant besides dioxin, the notorious poison in Agent Orange. 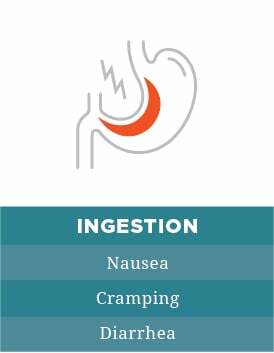 Whether through ingestion or skin contact, short-term exposure to microcystins can cause sore throat, nausea, vomiting, diarrhea and liver damage. Long-term exposure can lead to cancer, liver failure and sperm damage. 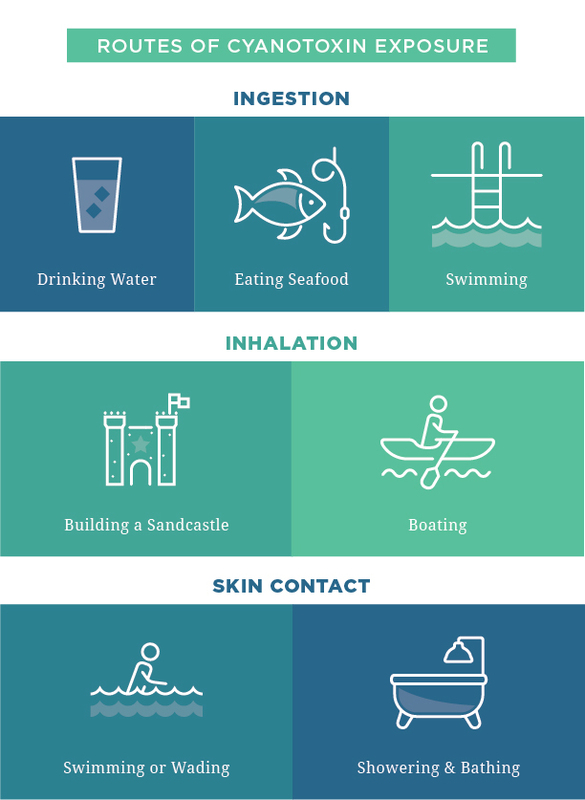 A New York State Department of Health survey of 16 counties found that in the summer of 2015, 32 people and three dogs got sick after recreational use of lakes contaminated with cyanotoxins.2 That same summer, a Michigan man reported he was ill for months from handling fish he caught in Lake Erie, and the East Bay Regional Park District, near San Francisco, closed five lakes after three dogs died. 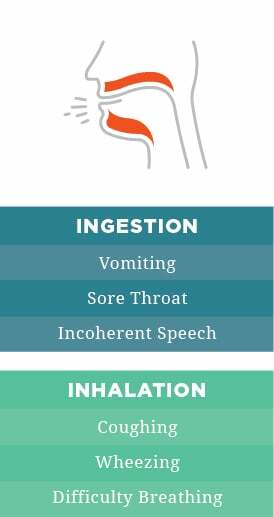 In June 2016, 130 people reported vomiting, diarrhea, headache and rashes after swimming, skiing or fishing in Utah’s largest freshwater lake, which was almost completely covered by toxic blooms. In addition to the health hazards, toxic blooms devastate western Lake Erie’s recreation economy, which brings in billions of dollars a year. Dave Spangler, vice president of the Lake Erie Charter Boat Association, has been taking anglers out on the lake since the 1970s. 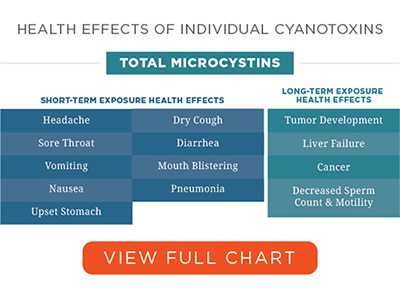 The conditions that trigger cyanotoxin blooms vary by location. 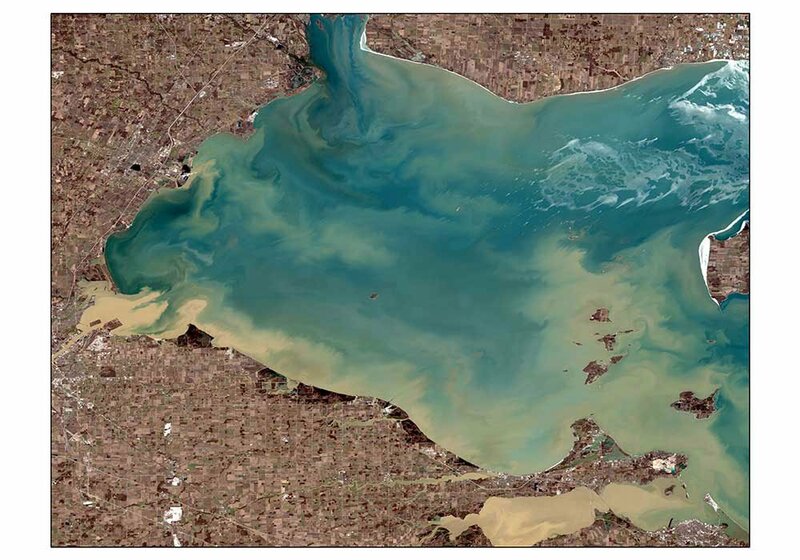 In Lake Erie, they occur when too much phosphorus and nitrogen wash into the lake’s shallow west end, usually after a heavy rain in the summer months. The blooms don’t erupt until the water gets warm, then subside once the weather cools off in the fall. The chemicals get into the lake from a number of sources, including power plants and sewage treatment plants. But the National Center for Water Quality Research, at Heidelberg University in Tiffin, Ohio, says the “inescapable conclusion” from 40 years of study is that the main culprit is phosphorus runoff from commercial fertilizers and manure applied to farm fields. Much of that runoff comes from the Maumee River, which flows into the lake through the heart of Toledo. The river drains an area of more than 8,300 square miles in Ohio, Indiana and Michigan, and according to Waterkeeper, more than 70 percent of that land is used for agriculture. 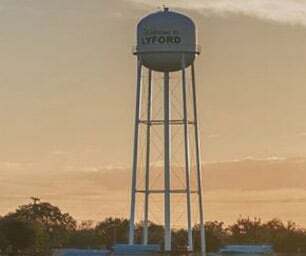 Besides millions of acres of cropland, the western Lake Erie watershed has 140 concentrated animal feeding operations, or CAFOs, which produce an estimated 630 million gallons of animal waste a year. 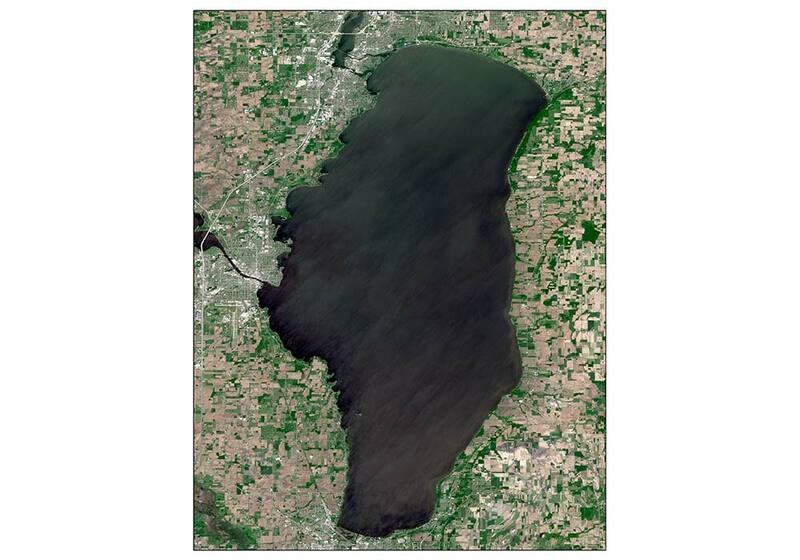 Under an agreement with neighboring Michigan and the Canadian province of Ontario, Ohio has set a goal of reducing phosphorous runoff into the lake by 40 percent in the next seven years. For years, the state has tried to address the problem by encouraging farmers to take voluntary steps to cut back their use of fertilizer and adopt land management practices that help control runoff, such as planting cover crops. But as Gov. Kasich’s administration acknowledged in declaring the lake’s open waters impaired, voluntary programs haven’t been good enough. “Farmers don’t wake up in the morning and say, ‘It’s a good day to pollute the environment,’” said Kristy Meyer, vice president for natural resources policy at the Ohio Environmental Council. “But they’re trying to maximize crop yield, and the old way of thinking about how to do that was to apply more fertilizer or manure. We need auditable common-sense standards to make sure farmers comply with what we call the four Rs: Only apply soil nutrients from the right source, at the right rate, at the right time, in the right place. In addition to tougher state laws and the pollution control measures that will be triggered by the impaired-waters designation, federal farm subsidies can play a major role in addressing the problem. Ohio farmers received almost $600 million in federal subsidies in 2016. 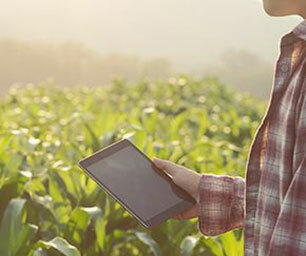 Congress is expected to vote on a new farm bill this year, providing an opportunity to tie farmers’ eligibility for subsidies to compliance with sustainable practices. 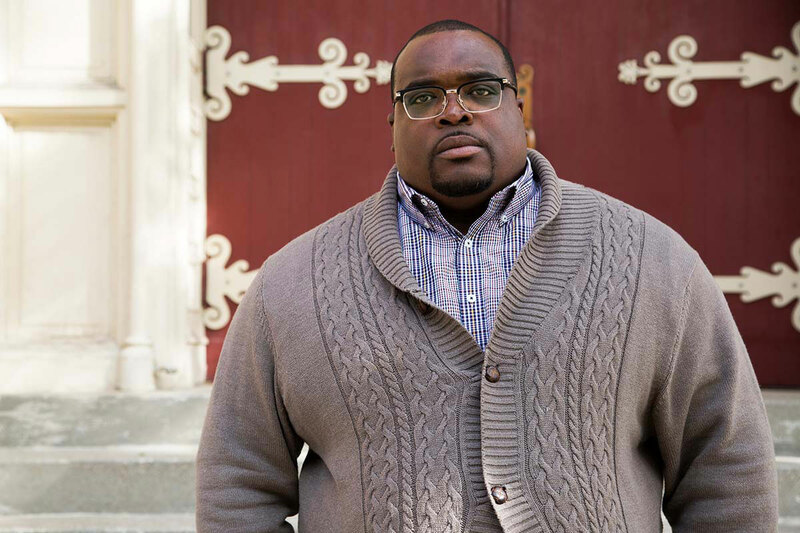 Keith Jordan, the inner-city youth worker, said that three years after the 2014 crisis, some people still won’t drink Toledo’s tap water. Looking out at the lake from the deck of his charter boat, Dave Spangler said he also has second thoughts. Michele C. Hlavsa et al., Recreational Water-Associated Disease Outbreaks – United States, 2009-2010. Centers for Disease Control and Prevention Morbidity and Mortality Weekly Report, Jan. 10, 2014. Available at www.cdc.gov/mmwr/preview/mmwrhtml/mm6301a2.htm. Mary Figgatt et al., Harmful Algal Bloom-Associated Illnesses in Humans and Dogs Identified Through a Pilot Surveillance System — New York, 2015. 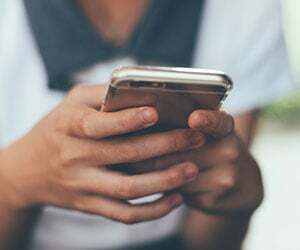 Centers for Disease Control and Prevention Morbidity and Mortality Weekly Report, Nov. 3, 2017. Available at www.cdc.gov/mmwr/volumes/66/wr/mm6643a5.htm.